Add an edge rusher. Add an edge rusher. The oft-repeated outcry among the 49ers fan base finally made it to the team’s headquarters. Last year, when the 49ers faced the same pass-rush issues, they signed Jeremiah Attaochu, who was cut before the 2018 season started. Another fruitless year followed, as San Francisco’s edge rushers combined for 14 sacks. In this year’s free agency period, the 49ers added Dee Ford, one of the NFL’s top edge rushers. 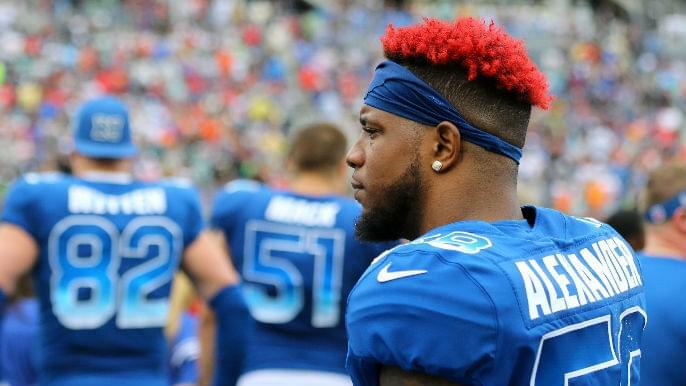 He was one of three one-time Pro Bowlers, including Kwon Alexander and Jason Verrett, that the 49ers signed in the opening week of free agency. The team signed six players in total and spent about $53 million against its 2019 cap. How does the 49ers’ active free agency affect their draft plans? Should they still draft an edge rusher with the No. 2 overall pick? What other roster holes need to be addressed? Let’s look into those questions. Ford was great in 2018. He led the NFL with seven forced fumbles and 78 pressures. His 13 sacks were tied for eighth-most in the league. There is no reason to think he will not replicate that production with the 49ers in 2019, should he stay healthy. But it’s possible one player will not completely solve the pass-rush problem. The 49ers set record-lows with two interceptions and seven turnovers in 2018. The lack of pressure played a key role. With DeForest Buckner consistently double-teamed, the 49ers edge rushers — on both sides — generally failed to beat opposing offensive tackles in one-on-one situations. In fourth quarters and third downs, the 49ers didn’t have the closers. The 49ers should still take the best edge rusher available, even with Ford on the roster. If the Arizona Cardinals do not select Ohio State’s Nick Bosa at No. 1 overall, he should be San Francisco’s pick. Imagine Bosa, Ford, Buckner, Solomon Thomas, and Arik Armstead — all first-round picks under the age of 28 — on the same defensive line. That may be the most talented unit in the NFL. When teams employing versions of San Francisco’s Cover-3 zone scheme have multiple dynamic edge rushers, results have typically followed. The 2017 Jaguars. Two seasons ago, Calais Campbell joined Jacksonville and recorded 14.5 sacks, the second-most in the league, in his first year. Edge rusher Yannick Ngakoue added 12 sacks. Dante Fowler, a No. 3 overall pick, made timely plays. The Jags finished second in the league with 33 forced turnovers. Their season ended one touchdown short of a Super Bowl appearance. The 2017 Chargers. Joey Bosa — whose skill set is nearly identical to his younger brother’s — and Melvin Ingram formed arguably the best one-two EDGE punch in the league. They combined for 23 sacks in 2017, and the Chargers finished sixth in the league with 27 turnovers. This scheme isn’t built to create turnovers. It’s built to limit big plays. But we have seen that a formidable pass rush creates plenty of takeaways in the zone defense. If Bosa is available, it would surprising if the 49ers don’t take him. Kentucky’s Josh Allen is another elite prospect. If the 49ers miss out on Bosa, they could potentially trade back with a quarterback-needy team and still walk away with a dynamic edge rusher like Florida State’s Brian Burns. Alabama defensive tackle Quinnen Williams looks like a future Pro Bowler, but the strength of the 49ers defensive line lies in its interior. None of the draft’s receiver prospects warrant the No. 2 overall pick. Taking an EDGE, ideally Bosa, is still the right move. It’s easy to overlook the rest of the draft because the No. 2 pick demands so much attention. This 49ers brass has found legitimate NFL talent in early-to-mid rounds (Dante Pettis, Fred Warner, and Ahkello Witherspoon), mid-to-late rounds (George Kittle), seventh round (Adrian Colbert), and via undrafted free agency (Matt Breida and Nick Mullens). The 49ers have already addressed positions of need by signing Verrett and Alexander. The team has already invested third-round picks in cornerbacks the past two years. The linebacking corps is suddenly deep. In addition to the No. 2 overall selection, the 49ers have picks at No. 36, No. 67, No. 104, No. 176, and No. 212. Let’s look at the remaining needs. At this time last year, the 49ers felt good about their free safety outlook with Colbert coming off a promising rookie season. But he disappointed in 2018, recording 21 tackles and one pass defensed before a high ankle sprain ended his season. The 49ers cycled D.J. Reed, Jimmie Ward, and Antone Exum into the free safety spot throughout the rest of the year, and no one emerged as the best option. The 49ers recently signed Ward to a one-year deal. He and Colbert will compete as the starting single-high safety. But the 49ers are still looking for their version of Earl Thomas, a ball-hawking center fielder who consistently creates turnovers. Virginia’s Juan Thornhill is a tremendous option. He collected six interceptions and 98 tackles in 2018. The 49ers coached impressive Mississippi State safety Johnathan Abrams at the Senior Bowl. Alabama’s Deionte Thompson is also a name to watch. Kyle Shanahan doesn’t need an elite receiver for his offense to post elite production. They may already have a No. 1 presence in Dante Pettis, who caught a touchdown once every eight targets in an injury-riddled 2018 season. The team recently added Jordan Matthews to help replace Pierre Garcon, who was released last month. Shanahan has built this offense from the inside-out. He has four speedy running backs, including newly signed Tevin Coleman, and one of the NFL’s best tight ends in Kittle. But the 49ers need more production than what their 2018 receiving corps gave them. Kendrick Bourne led the unit with 487 yards. The 49ers will likely add another receiver in the early rounds to compete with Bourne and Matthews at the starting “Z” spot. Ole Miss’ A.J. Brown, South Carolina’s Deebo Samuel, and Georgia’s Riley Ridley are all intriguing options at either No. 36 or No. 67 overall. As the roster currently stands, Malcolm Smith and Mark Nzeocha will compete at the 49ers’ strongside linebacker spot. But Smith hasn’t played consistently since the 2016 season due to injuries, and Nzeocha’s main value lies in special teams. Bolstering the guard position is likely a late-round move. The 49ers re-signed starting right guard Mike Person for three more years. Shanahan has not given up on first-round pick Joshua Garnett, who will compete with Person for the starting job in 2019. Left guard Laken Tomlinson retains his starting job. KNBR’s Larry Kreuger highlighted Illinois’ Nick Allegretti as a sixth-round target. Joe Staley has shown no signs of decline yet. At 34 years old, he played at a Pro Bowl-caliber level in 2018. But Staley enters the final year of his restructured contract in the upcoming season. The 49ers already planned for the post-Staley era when they drafted Mike McGlinchey with the No. 9 overall pick last year. McGlinchey lived up to expectations in an encouraging rookie year at right tackle. It makes sense to drafting an offensive tackle to succeed McGlinchey, who will eventually succeed Staley on the left side. In a perfect world, Staley continues to play well, signs an extension, and the 2019 draft pick learns under a six-time Pro Bowler and one of the NFL’s best young tackles on opposing sides. After all, the 49ers need to find a backup offensive tackle to replace Garry Gilliam, who was released last month. If the McGlinchey pick was any indication, don’t be surprised if the 49ers use one of their first four picks in April’s draft on an offensive tackle.